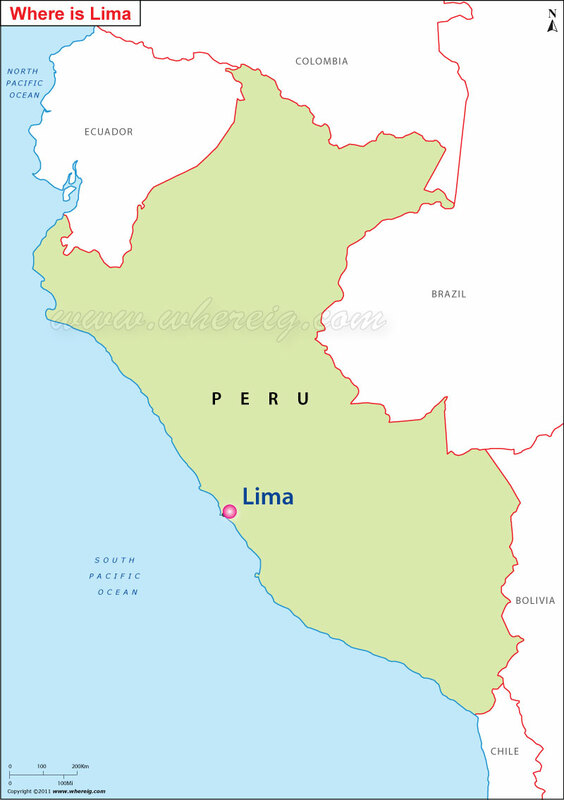 As shown in the given Lima location map that Lima is located in the central-west part of the Peru. Lima is the largest and capital city of the country. It is situated in the valleys of the Chillon, Rimac and Lur�n rivers, on a desert coast of the Eastern Pacific Ocean. Lima is home of the largest financial center of the country and one of the largest financial hubs in Latin America. As per the report given by GaWC international rankings - it has been listed as a beta world city. Initially, Lima was founded by Spanish conquistador Francisco Pizarro in the year January 18, 1535, by the name of La Ciudad de los Reyes, or "The City of Kings." In the following years, it became the capital and most important city in the Spanish Viceroyalty of Peru. Finally, after the independence, it became the capital of the Republic of Peru. The capital city Lima is the industrial and financial hub of Peru. At present, it has several national and multi-national companies that operating their businesses from the city Lima.